You are here: Home / Palm Reading Chart / Can Palm Reading Predict the Future Accurately? Nowadays, still many people use palm reading for predicting the future or events-to-be. But, bear in mind, this oldest method doesn’t lay out a fixed Destiny for anybody. 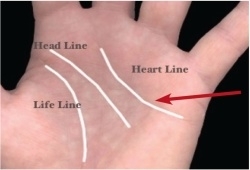 All the lines on your palm show a part of the characters – Based on these traits, the readers can make a prognostication for what’s happening to an individual’s current life. So, do you believe that palmistry can predict the future accurately? To help a person solve the problems or gain future visions, the fortune tellers should consider carefully his/her behavior, attitudes, and personalities. Every aspect is reflected on the hand palm, and if you change, the ‘yet to come‘ events will be affected! For more insightful information, please follow this article! Knowing your fate – The fact that Palmistry is always seen as the most common method of making future predictions. Now, with the help of both scientists and psychics, all the mysterious and unexplained things will be answered satisfactorily. Remember, the left and right hands of an individual are totally different. You can easily gain insights into your past, present, and future just by looking at all the imprints on the palm. 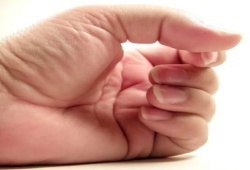 Choosing the ‘Dominant Hand’ – The ultimate question that most the palm readers receive is: “Which hand do you want to take a look at?” According to the spiritual advisers, you need to distinguish the ‘active’ hand with the ‘passive’ hand. If the seekers are right-handed, the dominant hand will be on the right, and vice versa. During the palm reading session, the passive hand is used for analyzing customers’ inherited traits and potential, while the active hand represents for the changes of these characteristics. Looking at the hand shape – As a general rule, the lines and markings on the dominant hand and the other one are quite different. There are 4 major hand shapes indicated to 4 main elements – Air, Water, Fire, and Earth. Before the readers make a reading, they need to take a careful look at the clients’ hand for knowing the hand’s length as well as the hand’s kind in detail. – If you have the yellow color, you seem to be every morose and melancholy. – For a pink palm, you can be seen as a hopeful, enthusiastic, and bright person. – Red hand or red line is represented for a healthy and well-adjust individual. – With a white palm, it means you have no interest in the outside world. Too egotistical and lack sympathy are your nature. Feel free to discover additional information in the article: “Can Palm Reading Predict the Future Accurately !” Simply leave all your comment in the contact form below. Previous article: What Is Palm Reading Chart And Its Explanation? How To Read Palm Reading Chart? Does Palm Reading Online Work Well With Love And Marriage?